Aquame | Zonyxa. Unique and contemporary jewellery for Work. Love. Play. 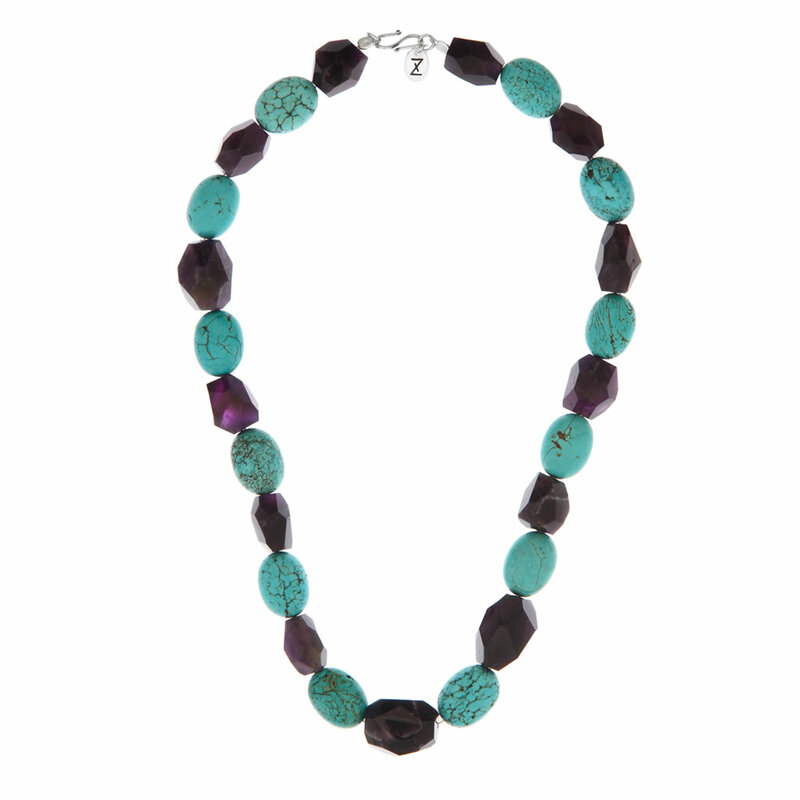 This deceptively simple piece showcases the irregular nuggets of amethyst in the mystic hues of grape and purple and contrasts with the aqua shades of turquoise stones. Ideal with a bright ensemble, suitable for work, and dramatic enough for after work. Materials: Turquoise and amethyst necklace.